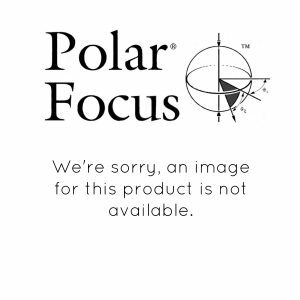 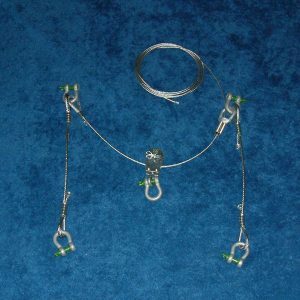 Polar Focus 6 link back chain kit for professional audio rigging. 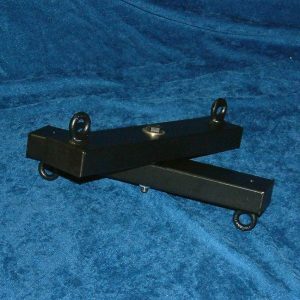 We offer a full line of audio rigging equipment for loudspeakers and line arrays. 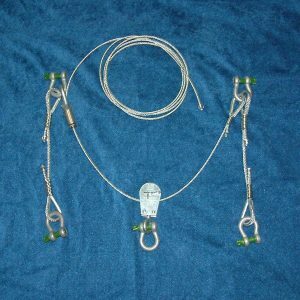 Polar Focus 6 link Back Chain Kit for Professional Audio Rigging. 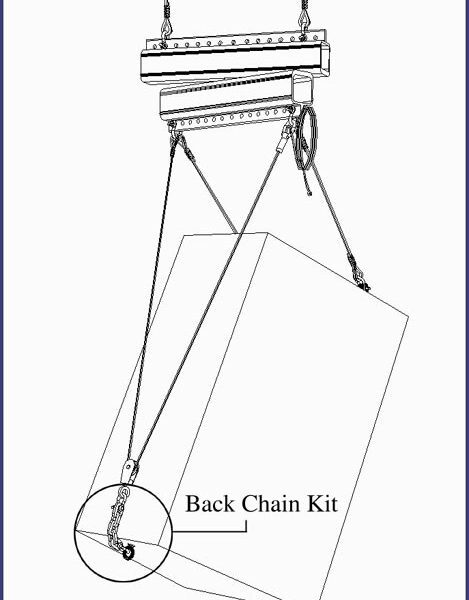 Back Chain Kits are used with speakers that have rigging points on some of the surfaces of the loudspeaker enclosure, but not on the surface needed. 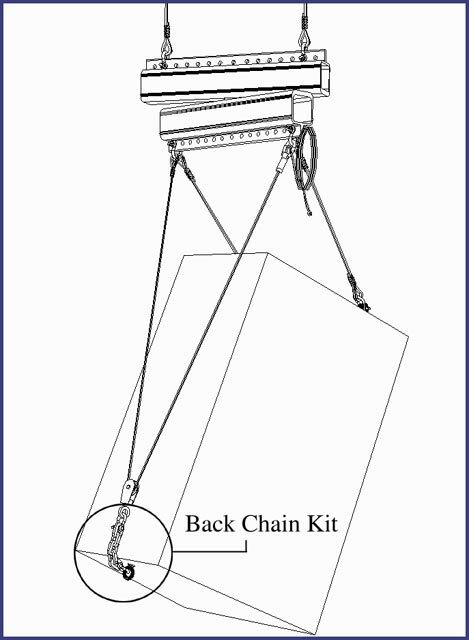 A typical instance requiring a Back Chain Kit is when a needed speaker rigging point is missing from the back surface of a loudspeaker enclosure, but there is a point on the bottom. In such a case, the chain goes around the bottom corner connecting with a shackle to an eyebolt on the bottom of the speaker. 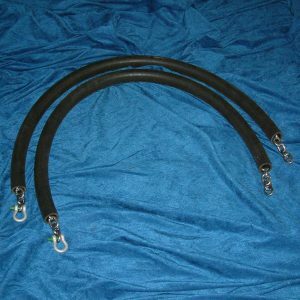 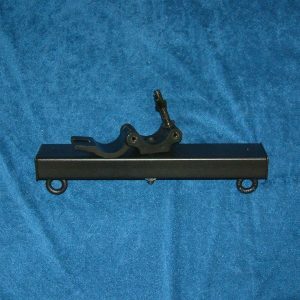 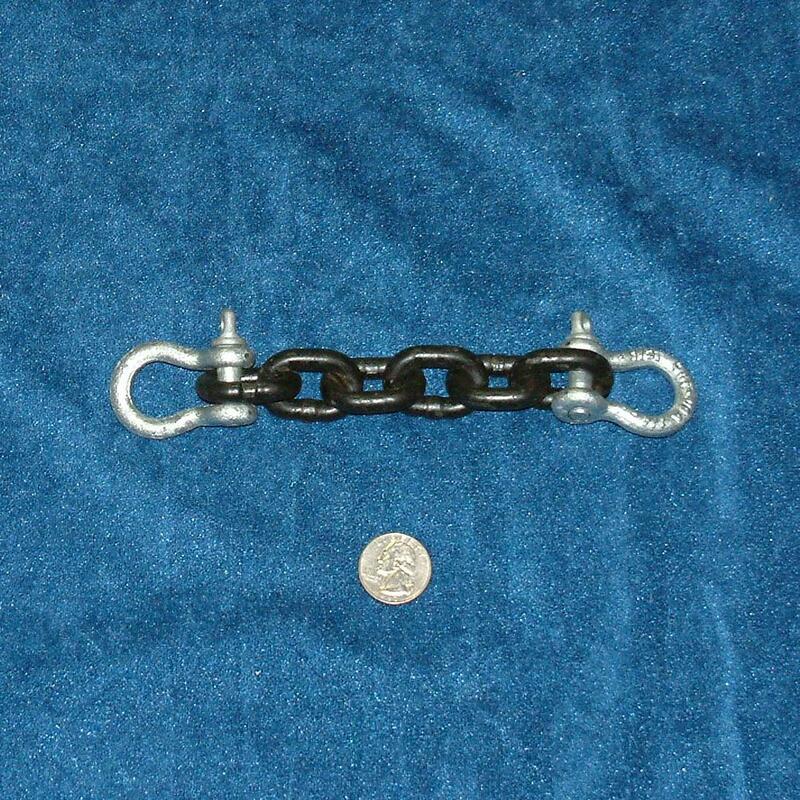 The chain used is 9/32″ Grade 100 heat treated alloy steel. 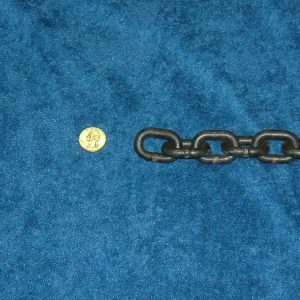 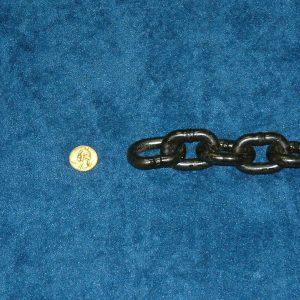 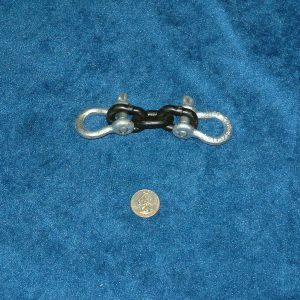 Each Back Chain Kit contains one length of chain as specified (in number of links, links are 0.82″ long), two 1/4″ shackles, and two lengths of #16 steel wire to safety the shackles. 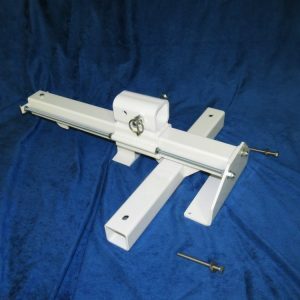 WLL is 500 pounds with a 10:1 design factor. 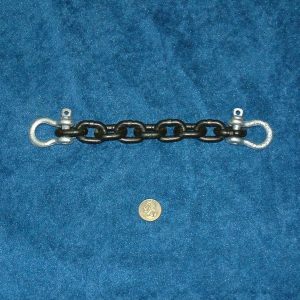 Typical sizes are listed but any size can be ordered.